I am currently in Los Angeles for some great events, including the Women’s Funding Network: Women, Economics, and Peace Summit, The Geena Davis Institute on Gender in Media Gala and the amazing Anniversary Gala I attended on May 1st to commemorate the Feminist Majority Foundation’s 25 years of advancing women’s rights and Ms. Magazine’s 40 years of reporting, rebelling and truth-telling. ( Picture is of my original July 1972 copy of Ms. Magazine’s first monthly printed issue – thank you BONNIE the best birthday present ever!). Special guests for the evening included Jay and Mavis Leno, Diane Lane, Kathy Griffin, the INCREDIBLE Peg Yorkin, Gloria Steinem and more. Wow. The Anniversary Gala was planned to celebrate the anniversaries of two incredible orgnaztions and their achievements for the advancement of women. Ms. made history in 1972 when it published the names of women admitting to having had abortions when the procedure was still illegal in most of the United States.A year later, Roe v. Wade would legalize abortion throughout the country. A 1976 cover story on battered women made Ms. the first national magazine to address the issue of domestic violence. The cover photo featured a woman with a bruised face. Over the years Ms. Magazine has won several awards including the Utne Independent Press Award for social commentary. Today, the magazine “remains an interactive enterprise in which an unusually diverse readership is simultaneously engaged with each other and the world. 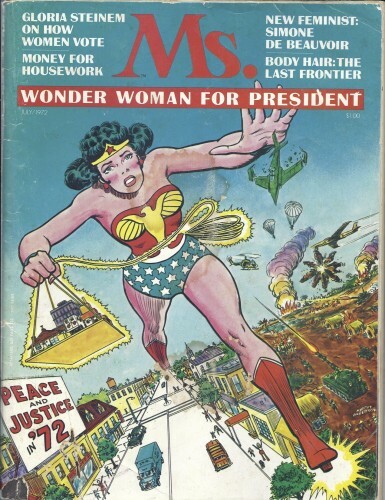 The modern Ms. boasts the most extensive coverage of international women’s issues of any magazine available in the United States.” In 2001, Ms. Magazine was purchased by Feminist Majority Foundation and is now publish quarterly. If you are not a subscriber do so now. NOW !!!!! I really mean it and you will not regret it. The Feminist Majority Foundation was also celebrating its 25th Anniversary and since it was founded in 1987 by Eleanor Smeal it has been dedicated to women’s equality, reproductive health issues, and nonviolence. Their mission statement ( website ) states “the Feminist Majority Foundation (FMF) was created to develop bold, new strategies and programs to advance women’s equality, non-violence, economic development, and, most importantly, empowerment of women and girls in all sectors of society. All programs of the FMF endeavor to include a global perspective and activities to promote leadership development, especially among young women. Along with reproductive rights and access to reproductive technology, the FMF’s programs have focused on the empowerment of women in law, business, medicine, academia, sports, and the Internet.” The Feminist Majority Foundation supports their mission by engaging in research and public policy development, public education programs, grassroots organizing projects, leadership training and development programs, and participates in and organizes forums on issues of women’s equality and empowerment. An incredible woman, Peg Yorkin, (click link for her story) chair and co- founder of the Feminist Majority Foundation and a TRAILBLAZER in women’s philanthropy received a special honor from the foundation. In 1991, Peg made a historical contribution to the foundation in the amount of $10 million dollars, the largest contribution ever made for women’s rights. The purpose of the donation was to empower women to take action, and to ensure a legacy of feminism for future generations. To say this 85 year old women is a force of nature would be an understatement. It was indeed an honor to be in the room with all these FIERCE leaders of the women’s movement! Next Post Happy Mothers Day, The Avengers, and Wonder Woman!